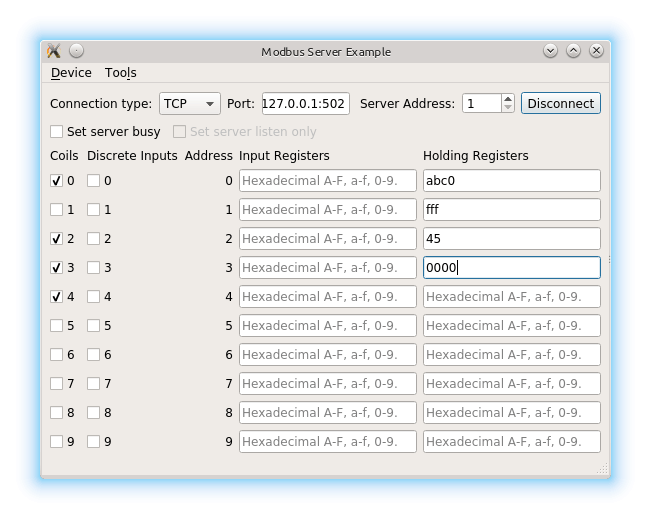 The example acts as Modbus slave. It receives standard Modbus requests, adjusts its internal states based on the request and responds with the appropriate reply. As such a slave is the equivalent of a Modbus server. This example must be used in conjunction with the Modbus Master example. This example should be started and put into the listen state before the Modbus master example is started. Subsequent interactions between the two examples use the Modbus protocol.